Construction is a field with one of the highest rate of injury and death of all occupations. The risk is inherent in the work and is a necessary part of our society. Even with all of the regulations and technology in the world, there will always be construction related accidents. This is why it is important to determine what their causes were and hold those responsible accountable for any errors that led to such an injury. Accidents at a construction site involve more than just the immediate medical attention needed. There could be many related after effects, including the cost of therapy, loss of work, and other long term treatment. Loss of function could lead to the reduction in the ability to work, enjoy hobbies, or spend time with families. This could include paralysis that can severely inhibit a person’s ordinary activities. There is much to be considered when trying to get a person back to the way their life was before the accident. Often these accidents are the result of an error of some type. This could be due to the operator or owner of the site not following regulations or their own procedures. In other cases it could be due to equipment with faulty manufacture or maintenance. The person or entity that acted negligently can often be held responsible in a court of law. All of these types of accidents can cause severe injuries, including broken bones, spinal trauma, brain injury, and others. All of these carry severe repercussions for the injured and their families. If faced with such an event in your life, make sure that you have the right advocate in your corner. 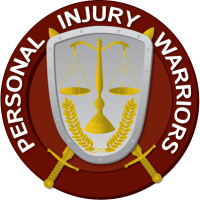 The Personal Injury Warriors stand ready to assist and show you what we’ve been able to do to help our clients. Call us today for a free consultation.